Do you really get a job by looking at job ads? How exactly do people get jobs? A few people I know are currently looking for work. I began to wonder if combing through advertised jobs is enough, and thought a little sample of my own experience might help answer that question. 1996. 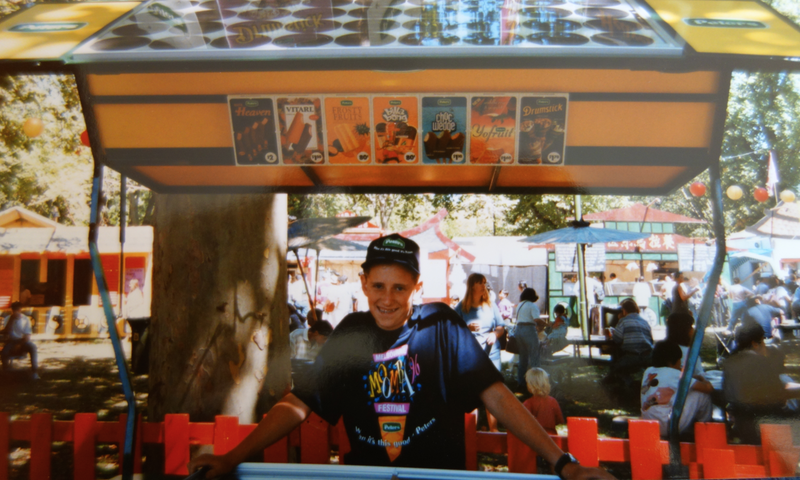 My first ever job was selling ice-creams at a festival in Melbourne called Moomba. I got the job through a friend’s dad. Pay and conditions were great. Ad: 0%. Luck: 0%. Inside running: 100%. 1998 After I finished school I got a job as a busboy at a cafe in a shopping centre. It wasn’t advertised but I handed my resume out to 20 businesses near my house and this one had an employee quit the next day. $8.50 an hour in cash seemed pretty good to me. Ad: 0%. Luck: 100%. Inside running: 0%. 2000 I became a waiter at Pancake Parlour. Pay was a whopping $7.27 an hour. It was an advertised job for which I went through a quite involved interview process. Ad: 100%. Luck: 0%. Inside running: 0%. 2001 Waiter at italian restaurant. Through a friend. I lasted about three weeks. 2002. Market research interviewer. A friend who worked there told me the place was hiring. Great pay and conditions so I joined the union. Ended up doing market research for big tobacco, but I didn’t mind because smokers loved to chat about smoking. It beat asking people about banks. Ad: 80%. Luck: 0%. Inside running: 20%. 2003 I applied to an ad for an English teacher in the small town of Qinhuangdao, China, where I found I could go months without seeing another foreigner. 2004. 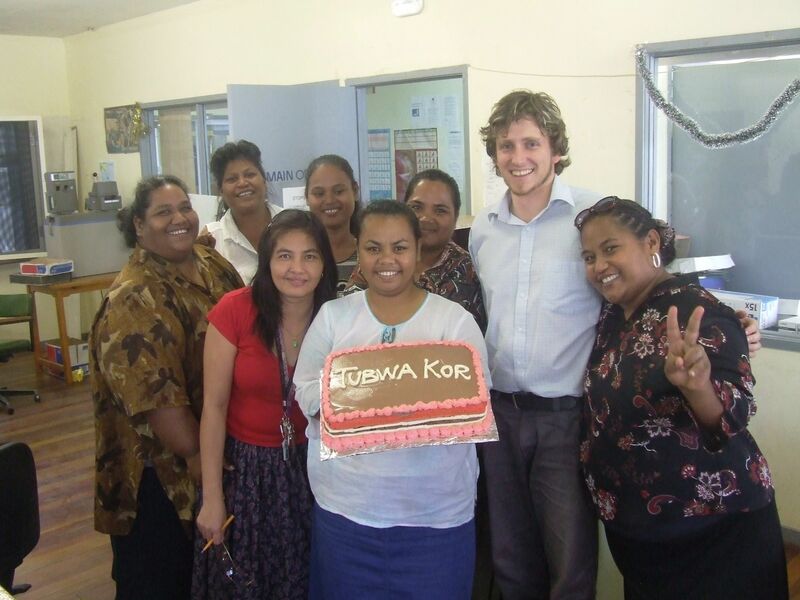 I parlayed my meagre teaching experience into a job as a tutor in the first-year economics subjects, which was among the best and most convenient jobs for a student ever. 2005. Ski instructing at Perisher Blue. A week-long “hiring clinic” for which you have to pay hundreds of dollars serves as both interview process and training. 2008. Nauru budget adviser. I happened to have just finished my tutoring contract when I was asked by someone I knew in the federal government to come to an interview. I don’t think they interviewed anyone else. 2009 Victorian government policy officer. Through a recruitment company. 2010. 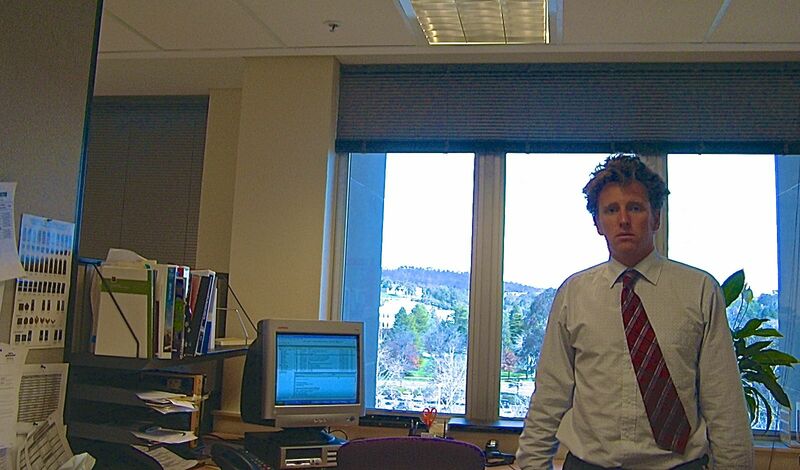 Journalist at the Financial Review – I applied at a timely moment when a bunch of people had quit. But there was no job advertised and I had someone on the inside put in a good word for me. 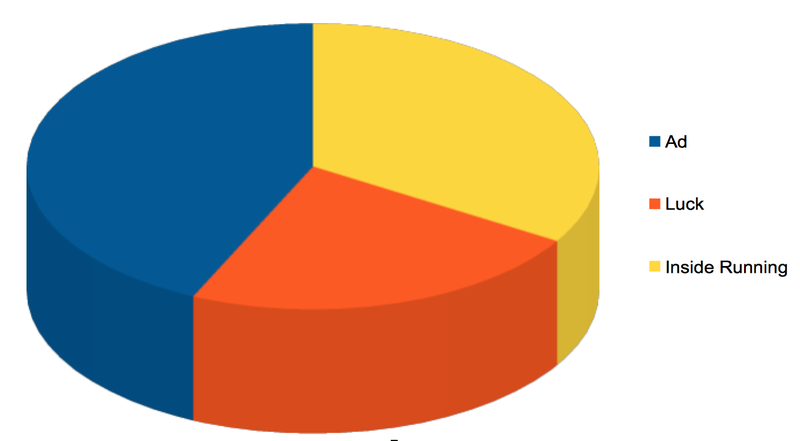 2013 – Freelance writing. I sell things mostly to people I know from my other jobs, but also via some cold calling. After having had 17 jobs, just six came from simply seeing an ad and applying. My crude averaging of the numbers (including some jobs I didn’t go into above) says ads explain 46 per cent of my jobs, inside running 32 per cent, and luck 22 per cent. 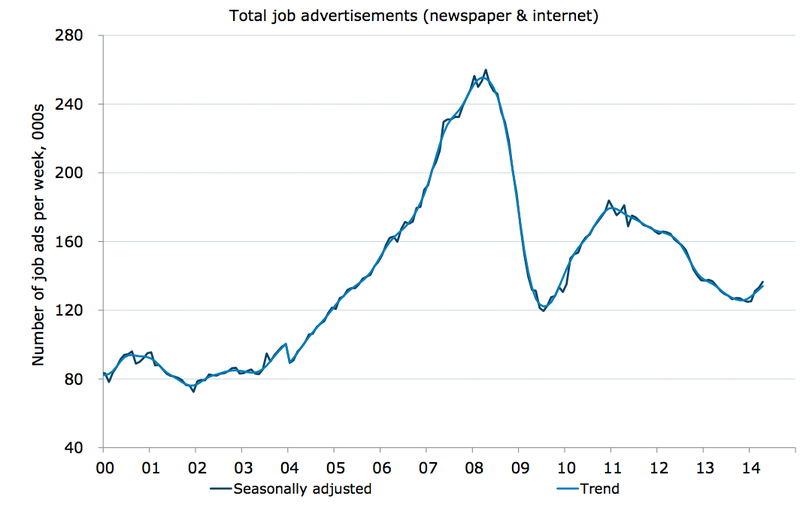 The common trope is that 70 per cent of all jobs are not advertised. Economic theory suggests a great benefit and a great cost. If firms are able to fill jobs quickly and minimise their search costs, that could be an advantage. But if it means they miss out on the best human resources, they suffer. Despite the risks of hiring through word-of-mouth, the approach is not about to go away. This paper finds that firms that hire through referrals may be more profitable. If my experience holds for everyone, its going to be advantageous to keep working in the same city, or at least the same country, where you have a bunch of connections. It also doesn’t hurt to be on LinkedIn. Posted on April 8, 2014 Tags employment, hidden jobs, jobs, labour marketLeave a comment on Do you really get a job by looking at job ads?